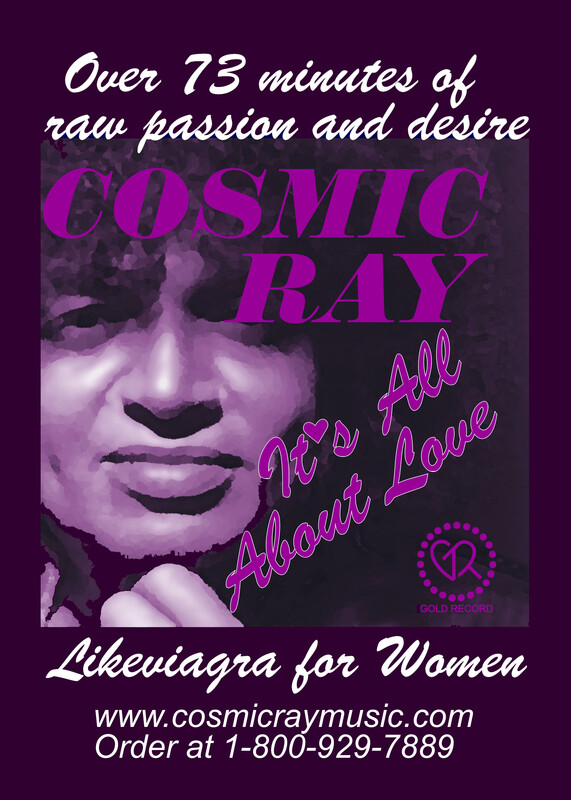 The Adult Contemporary Charts from New Music Weekly and spin tracking reports from National Record Promotions listed below follow the progress of single releases from Cosmic Ray's "It's All About Love" album. The song "Dance with Me" which debuted the last week of June 2003. The song "I'm Still In Love With U" debuted the first week of November 2003. The Tracking Reports are from National Record Promotions. They provide a synopsis to show specifically how "Dance With Me" and then "I'm Still In Love With U" is progressing. #8* AC40 Chart - NMW! **Top Prime Mover - AC40 NMW! I'm Still In Love With U at # 5 !!! #5* AC40 Chart - NMW! #66* ACQB/FMQB Top 200 Chart! I'm Still In Love With U still at #7 !!!! #7* AC40 Chart - NMW! #68* ACQB/FMQB Top 200 Chart! I'm Still In Love With U at #7 !!!! I'm Still In Love With U at #9 !!!! #9* AC40 Chart - NMW! 68- #66* ACQB/FMQB Top 200 Chart! #11* AC40 Chart - NMW! #12* AC40 Chart - NMW! 70-#69* ACQB/FMQB Top 200 Chart! "I'm Still In Love With U"
15-#12* AC40 Chart - NMW! 73-#70* ACQB/FMQB Top 200 Chart! #15* AC40 Chart - NMW! 74-#73* ACQB/FMQB Top 200 Chart! 17-#15* AC40 Chart - NMW! 77-#74* ACQB/FMQB Top 200 Chart! 18-#17* AC40 Chart - NMW! 82-#77* ACQB/FMQB Top 200 Chart! 23-#18* AC40 Chart - NMW! #82* ACQB/FMQB Top 200 Chart! 25-#23* AC40 Chart - NMW! 90 #83* ACQB/FMQB Top 200 Chart! #25* AC40 Chart - NMW! #90* ACQB/FMQB Top 200 Chart! 24-#22* AC40 Chart - NMW! #93* ACQB/FMQB Top 200 Chart! 40-#24* AC40 Chart - NMW! #95* ACQB/FMQB Top 200 Chart! #40* Chart Debut AC40 - NMW! #99* ACQB/FMQB Top 200 Chart! #2* Chartbound* - C40 - NMW! 122 - #99* ACQB/FMQB Top 200 Chart! Chartbound* - C40 - NMW! 132 - #122* ACQB/FMQB Top 200 Chart! 8-#3* "Next Up" Chart - AC40 - NMW! 185 - #132* ACQB/FMQB Top 200 Chart! 19-#8* Next Up" Chart - AC40 - NMW! "Most Added" Chart - AC40 - NMW! 6th "Most Added" ACQB/FMQB! ACQB/FMQB Top 200 Chart Debut! #2 "Most Added"  AC40  NMW! 5th "Most Added"  ACQB/FMQB! #2* Chart Debut  AC40  NMW! at 21 on New Music Weekly AC Chart! "Dance With Me" turns 41! "Dance With Me" is playing on stations additional to the ones being tracked by National Records Promotions. Our weekly total spin #s reflect this. HOME Listen to Clips View Performance Videos Music Bio AC Charts Download Poster Buy "It's All About Love"